It’s time to ‘get your head around’ English modal verbs! This lesson is the first in a series about modal verbs – this one focuses on CERTAINTY, POSSIBILITY & PROBABILITY. Practise makes perfect, so that’s what we’ll do together! Hello I’m Emma from mmmEnglish! So tell me, what type of words are these? They’re modal verbs. 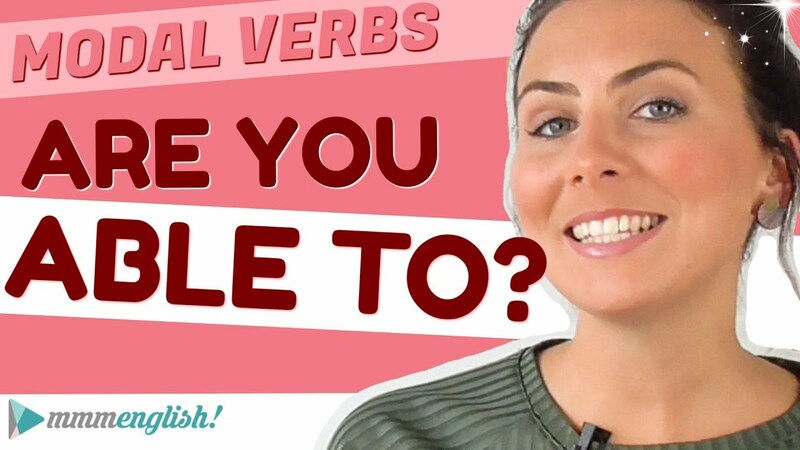 Now I’ve been getting lots of questions about modal verbs from you lately so I’m going to share some useful tips to help you use them a little more effectively when you’re speaking English. Now these modal verbs are auxiliary verbs, just like be, do and have. 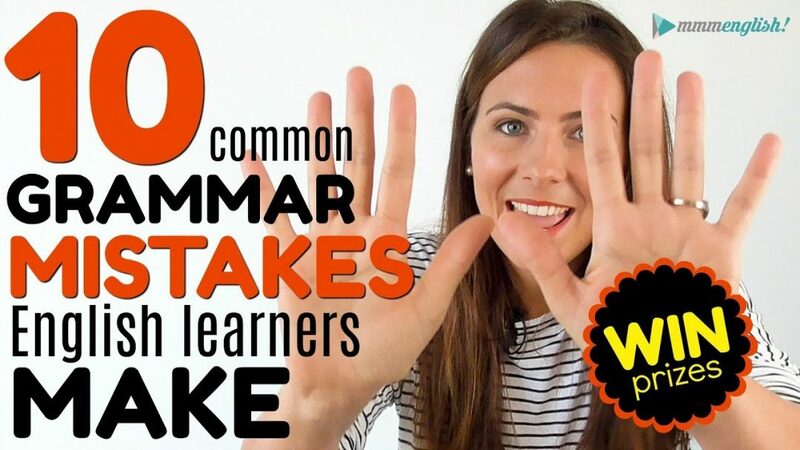 Because they work together with a main verb, you always have a modal verb with a main verb and the main verb that follows is always in the bare infinitive form without to. Now these modal verbs are used in English to express something. They have a purpose so we need to try and understand that purpose today. Now they can be used to talk about possibility and probability, to talk about how likely something is. Now remember you’re always using that modal verb with a main verb so how likely is it that that action will happen? Is there a good chance it will happen? Now in all of these situations you can use a modal verb to explain how certain you are that something will happen, how possible something is. Now these same modal verbs can also be used to explain ability so how able you are to do something. They can be used to ask permission, make requests and offer help. In fact, there’s quite a few different uses so I’m going to split this lesson in two and I’m doing this because I want to take this slowly. I don’t want you to feel overwhelmed and confused so let’s just take one step at a time. 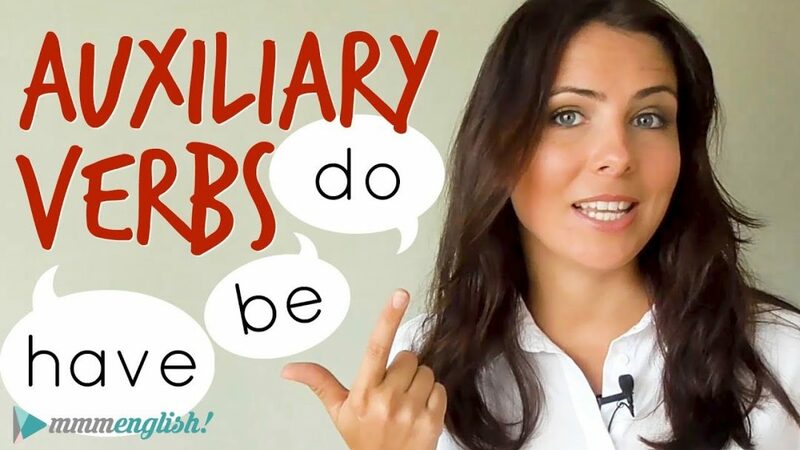 In this lesson, I’ll talk about how we use modal verbs to talk about certainty, probability and possibility. So this is how likely something is to happen or if it’s possible at all. And the next lesson, we’ll focus on ability and the other uses, so try not to worry about them right now. But make sure that if you’re not a subscriber, you click that red button and subscribe so that you find out when that next lesson is available. Okay so let’s start with probability, how likely something is to happen. Now we use ‘will’ to talk about the future, when we’re confident that something will happen. We believe it. We’re certain it’s true. Pretty sure that will happen. Well she’s always late, so I definitely believe that to be true. If you don’t take a jumper, you will get cold. It’s freezing out there! You’ll also hear ‘will‘ used to give reassurance when you want to confirm that something is true. You know when your mum tells you, “You will pass the exam, don’t worry.” even though you’re really not sure that’s true. She’s using ‘will’ to tell you that she’s confident, she believes in you. When you’re upset, your friends will tell you “It will be okay.” They’re confident. They believe that everything will be okay. If they walk, they won’t arrive in time. It’s too far. I’m certain that that won’t happen. We also use ‘must’ when we are confident and sure of something that is happening in the present and usually we have a reason or an explanation to tell us why something is happening. The baby’s crying. He must be hungry. I thought Sarah would be here by now. She must be stuck in traffic. They didn’t eat any of the meat. They must be vegetarian. Notice how I’ve given a reason for all of these examples to show why I believe something to be true. And it’s quite common when you’re using ‘must‘. It explains that you are quite confident about the statement and you’re able to give a reason to explain why you’re so sure. To use ‘must‘ to talk about the past, when you’re quite sure that something happened, then use ‘must have‘. After flying for 36 hours, you must have felt exhausted. I thought I’d do better in the exam. I must have been really nervous. Jack’s not here right now. He must have thought that you were meeting him downstairs. Now see how this creates the perfect tense. 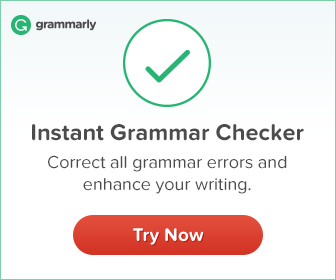 The main verb following ‘have‘ is in the past participle form. So when talking about the present or the future, ‘must‘ is followed by the bare infinitive form but when talking about the past, ‘must‘ is followed by ‘have‘ and the past participle verb form. And this pattern is true for many of the modal verbs that we’ll talk about today. We use ‘should‘ to say that something is likely. We’re not a hundred percent certain but we believe it to be true. They left an hour ago, they should be here by now. If they take the car, they should arrive by three. To talk about the past, we use ‘should have‘ It’s the same pattern. I didn’t realise he was unwell. We should have offered to take him to the doctor. The school knew Sam was going to be late. They should have called her mother. Now let’s talk possibility. So if you’re making really general statements about something that is possible, use ‘can‘. People can be really rude. Be careful because it can be quite dangerous on the streets at night. It can be really hard to find a speaking partner to practise English with. It can take over 12 hours to hike through those mountains. Now these are all general statements, they’re not specific. I’m saying these statements are possible but I’m not saying exactly what is happening. Now, in this context ‘could‘ is used as the past tense of ‘can‘. I remember winters in London. Weeks could go by without ever seeing the sun! So when we’re uncertain or unsure about the present and the future, we use the modal verbs ‘could‘ ‘might‘ and ‘may‘. They explain that something is possible but not certain or guaranteed. If you wait near the door on Lewis Street, you could see the Prime minister leaving. They might arrive before lunch. But I’m not sure. I may need to borrow your car. Now ‘might‘ and ‘may‘ here are very similar. There is a very slight difference between the two in that ‘might‘ tells us that the outcome is a little bit less likely. But the truth is that ninety-nine percent of native English speakers don’t even realise this. So you don’t need to worry about the difference at all. When used in spoken English, you can use either when talking about possibility. Just consider them to be the same. We may go on a holiday in September. We might go on holiday in September. Close enough! The meaning of this sentence is so similar but the second one suggests that it’s a little less likely – that’s all! We can also use ‘could‘ to explain that we are uncertain or unsure about the future. It could rain this afternoon. Now all of these sentences tell us that it’s possible but not certain. There is a chance that it will happen. Simon could arrive before us. Simon might arrive before us. Simon may arrive before us. Now these examples all talk about the present or the future. And the modal verb is followed by the bare infinitive verb form. But now, we’ll go into the past, back in time. Then we use these same modal verbs with ‘have‘ followed by the past participle verb so suddenly we’re using the present perfect tense. They might have finished dinner by now. I’m worried. Something could have happened to Sara. Okay so that was talking about possibility. Now, let’s focus on impossibility – when something is not possible, when we know that something is unlikely to happen. The chances of it happening are really, really, really small. When we think that something is impossible, we use the negative forms of ‘can‘ and ‘could‘. It’s not possible. I don’t believe you! Now this expression is often used after someone says something that you just don’t believe. When we think that what is said is very unlikely to be true. When we told them they’d won, they couldn’t believe it! He said he was in a band called ‘Meatball’! He couldn’t have been serious. So when spoken, these negative forms are usually contracted. Now you will never see this last one written as a double contraction but you will hear it spoken. Couldn’t’ve. You will hear people pronounce the full negative form though especially to add emphasis, to make the meaning stronger. You can make it even more dramatic by stressing every single word. Okay so let’s summarise now. If you are certain about something use ‘will‘ or use ‘won’t‘ if you are certain that something is impossible. Now if you’re confident about something and you have a reason for believing that use ‘must‘ or ‘should‘. If you’re talking about something generally that’s possible, use ‘can‘. If you are not certain but it’s possible use ‘might‘, ‘may‘ or ‘could‘. So remember that there are different meanings for all of these modal verbs and we’re going to talk about these more in the next lesson. Well I hope that you enjoyed that lesson! I hope you feel a little more confident using modal verbs to talk about possibility and probability. Now remember that the next lesson will talk about how these modal verbs can be used for ability, to ask for permission, to give suggestions and ask for advice. But for now, keep practising with these lessons and I will be back again next week with a new lesson for you. Thanks for watching I’ll see you again soon. Bye for now! I thank you very much Dear Emma again and again. I hope I could meet with you some day. I enjoyed this lesson. It made me refresh my memory and deepen my knowledge. You are my one and only beautiful,intelligent,wise & nice teacher Emma.I always enjoy to learn English grammar & vocabulary from you.I want to meet you.But I can’t because there’s nobody living in Australia for me so I can reach there whatever I always love Emma youtube lessons are very helpful which gain my English language skills. That’s why I am follower of mmmenglish in Instagram account.Thanks Emma for your all English lessons. Thank you Emma! It helps a lot. I may contact you in Facebook and email. Hi, Emma. Thanks so much for making video, especially. It’s great in many ways. However, it is your accent that truly mesmerises me. I wonder if this is your real every day accent. Hope to hear from you soon. It helps a lot, I may contact you on Facebook. 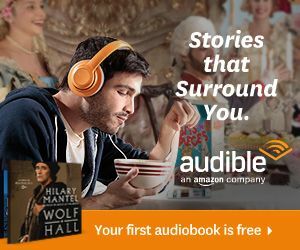 Hi, I am really confused with the usage of will & shall. Where to use will and shall. Please do clarify what the actual difference between these two modals is. In many MCQs I get both as options and when I choose ‘will’ then the answer is ‘shall’ and vice versa. Even after referring a lot of reference materials I’m confused with their usage. Hope you could give the correct difference. Great question Soorya! I’ll do my best to make a video explaining the difference between those two words!